On Wednesday, a nine-year-old girl reignited debate about Australia’s national anthem by explaining why she had refused to rise for it at a school assembly. Harper Nielsen, from Brisbane, argued the lyrics of “Advance Australia Fair” disregarded the country’s indigenous history. That led some lawmakers to criticise her for “disrespect”, but other Australians praised her for taking a stand (or, in this case, a seat). The song was written in the 19th Century but only adopted as Australia’s anthem in 1984, replacing God Save the Queen. The anthem, for various reasons, has never been regarded as particularly popular. Does Harper’s assertion have much support? The words “young and free” ignore the estimated 65,000 years or more of indigenous Australian culture, according to the Recognition in Anthem group, which has campaigned to change the song. 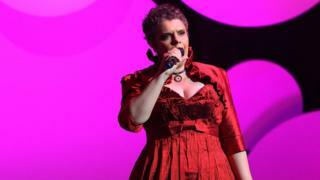 Opera singer Deborah Cheetham, a Yora Yora woman, famously declined an invitation to perform the anthem at the Australian Football League grand final in 2015. “The song does not take into account the generations of indigenous life on this continent. It does not value that,” she told the BBC on Thursday. One Australian history expert said the lyrics supported the “fantasy” of Australia as a “New World” country with little history. “It means one can avoid looking back on the dispossession of Aboriginal people,” said Associate Prof Richard White, from the University of Sydney. Last year, boxer Anthony Mundine shunned the anthem before a bout, telling News Corp Australia it was “a racist anthem” that was “disrespectful to our people”. “Are people hurt because I didn’t stand? Or are they hurt because I made a statement as an Aboriginal man and chose to exercise my rights in a free country,” he later wrote in a piece for the Special Broadcasting Service. Other Australians have criticised such boycotts as harmful to reconciliation efforts. When Williams conducted his protest, one local councillor, Paul Funnell, criticised it as “divisive” and “disrespectful”. On Wednesday, Queensland’s shadow education minister, Jarrod Bleijie, said Harper’s protest “disrespects our country and our veterans”. Last year, the federal government rejected the Recognition in Anthem’s proposal to change the words “for we are young and free” to “in peace and harmony”, and add a third verse recognising indigenous history. Why doesn’t Australia have an indigenous treaty? “The government would need to be convinced of a sufficient groundswell of support in the wider community to warrant changing the anthem,” an official told the group, according to The Courier Mail. However Bundjalung woman Karen Mundine, who is chief executive of Reconciliation Australia, said: “We shouldn’t focus on comparing so-called practical versus symbolic actions. Associate Prof White said most Australians felt “fairly apathetic” towards the anthem, with people often accusing it of having dated language. Recent protests have drawn some comparisons to NFL anthem boycotts in the US. 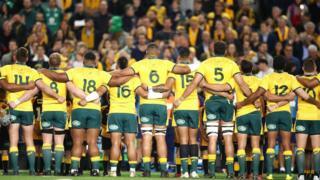 However, Associate Prof White said that Australians historically are “not that excited” about displays of patriotism. “Most people see that sort of American-style ‘hand on heart’ patriotism as being rather naff,” he said.